Home : Office of the Secretary-General : CSD : New Initiatives Prog. The purpose of the programme is to track changes in rapidly changing technologies, market trends, and regulatory frameworks, so as to promote information exchange among the membership and generate new ideas supporting the activities of the ITU’s Sectors. Since 1999, more than 15 workshops have been held and more than 50 studies and 200 presentations have been published on the internet. In addition, numerous publications have been released on paper and/or CD-ROM. 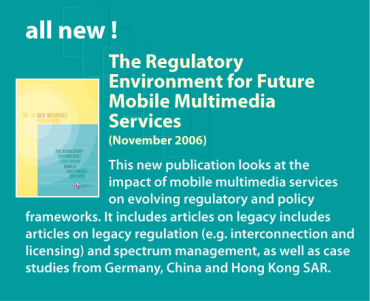 It was in 1999 that the ITU Council endorsed the New Initiatives programme for the Union to promote the growth and expansion of electronic commerce and to facilitate the transition of the telecommunications community in the age of the Internet and the mobile information society. The workshops are held in line with a set of guidelines approved by Council at its 2000 Session (in Council decision 496) see Guidelines for Strategic Planning Workshops (also in FR, ES). 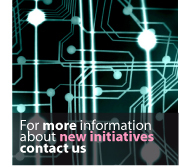 The New Initiatives programme includes strategic planning workshops, country case studies and online resources. The international workshops held under the New Initiatives programme deal with topics that are of high current interest, and that are especially relevant to policy-makers, regulators, industry, corporate analysts, academics and others. The topics are chosen as priorities by ITU Member States and Sector Members on the basis of a questionnaire. These workshops, which are reported on annually to the ITU Council, are on topics that cut across the work of ITU and are conducted with a view to bringing new topics into the regular work programme of the Union and its Sectors. Participation in the workshops is open to all ITU Member States and Sector Members and other experts may participate at the invitation of the ITU Secretary-General. The workshops are conducted according to the guidelines set out in Council Decision 496. In preparation for each workshop, a briefing paper and a series of country case studies and/or thematic studies are prepared. A background resources website is also created and a list of issues prepared for discussion at the workshop. The output of each workshop typically takes the form of a chair’s report, published as a printed document and/or CD-ROM as well as on the event website. March 2006: What rules for IP-enabled NGNs? Under the New Initiatives programme, each topic is typically supported by a number of different country case studies or thematic studies that provide an analysis of contemporary issues in information and communications— and how they are being addressed in individual Member States. These studies are aimed at a wide audience, ranging from regulators to corporate managers, and from consultants to academics. Research for the case studies is conducted in collaboration with government officials, consultants and industry players. Each case study sets out its context, defines the ‘issues’, analyses the various models or strategies that might be employed, describes current approaches, identifies obstacles and assesses past and current experiences. The goals of these studies are to raise awareness of new and emerging issues among government officials, regulators and industry players both in developing and developed countries and to provide policymakers and other players with relevant in-depth information. 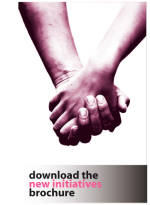 A full set of country case studies can be downloaded free of charge. SPU newslog. 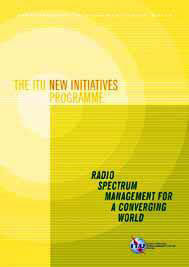 The studies are also made available as part of a New Initiatives publication, available from the ITU sales office. Topics covered include the impact of ubiquitous technologies on the traditional telecommunication industry, the role and application of RFID technology, privacy and public policy issues. Country case studies on Italy, Japan, Korea and Singapore are also featured. Topics covered included the social and human considerations for a more mobile world and broadband mobile communications towards a converged world. The experiences of Norway, Morocco, Korea and Japan are featured, as is a survey on mobile phones and youth. This publication summarizes contributions to the ITU process that will prepare its inputs and position vis-à-vis the United Nations working group to be established on Internet governance, resulting from the Declaration of Principles and Plan of Action adopted on 12 December 2003 at the first phase of the World Summit on the Information Society. Topics covered include advanced wireless technologies and spectrum management. In this context, issues related to the unlicensed portions of the radio spectrum are included as well as property rights and wireless licence values. The experiences of Australia, Guatemala, United Kingdom are highlighted.